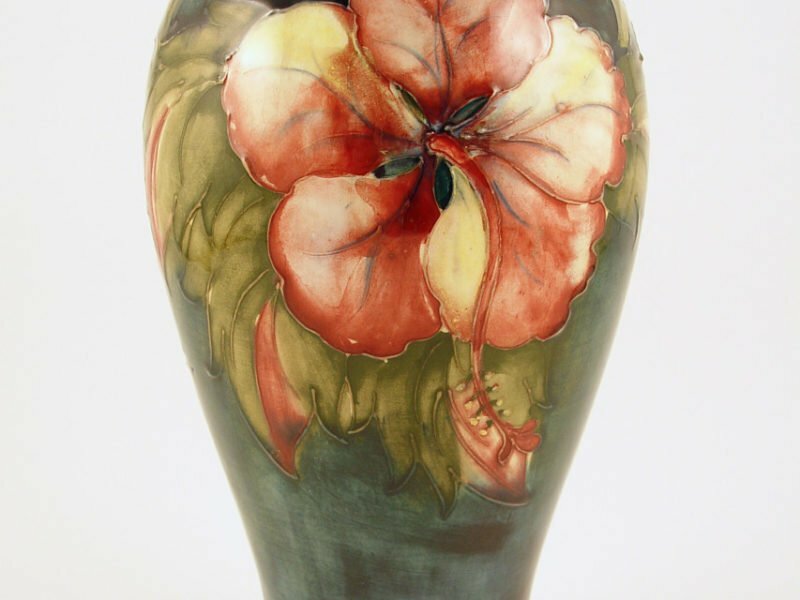 Walter Moorcroft ‘Hibiscus’ vase. 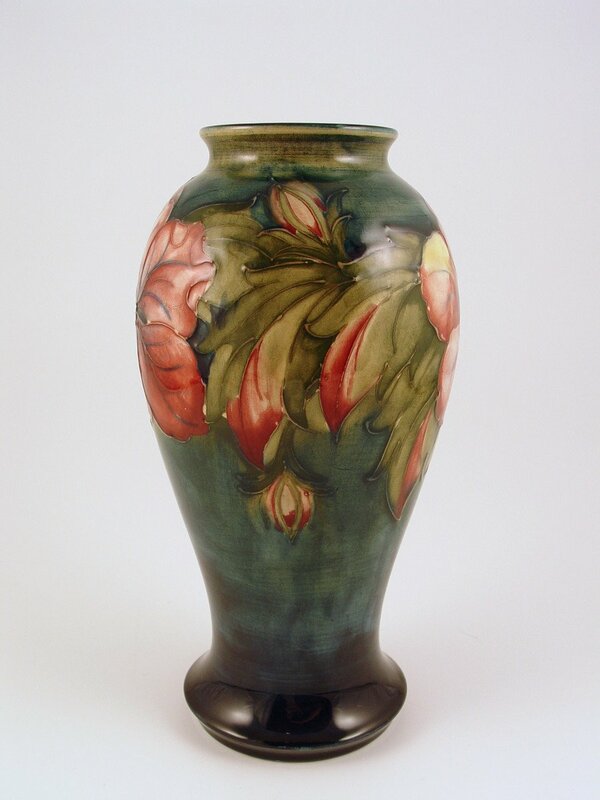 This is an early version of the disign as the bud was dropped in the early 1960’s. 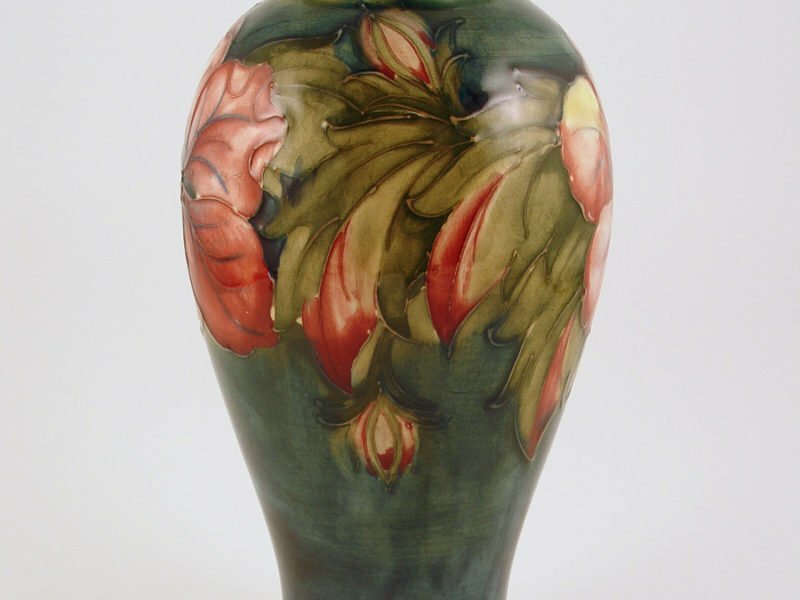 See reference on page 145 of “Moorcroft Revised Edition 1897-1993” by Paul Atterbury. 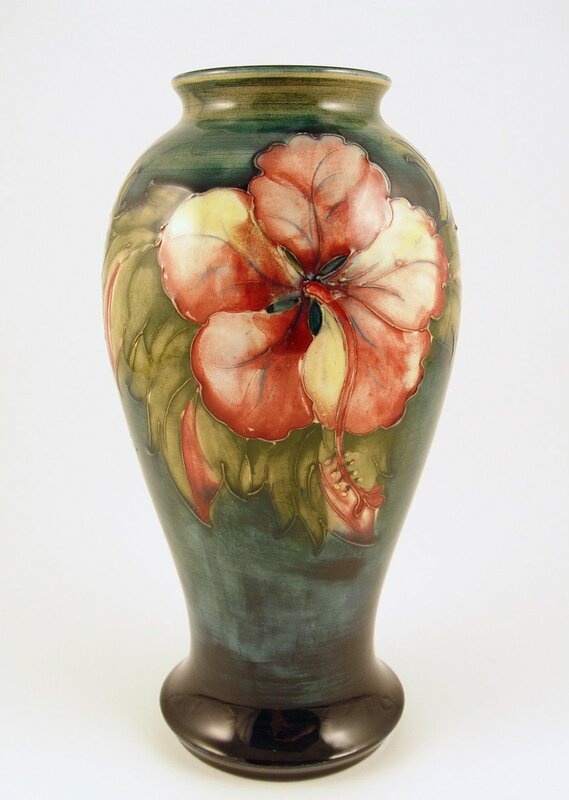 Dimensions: 25.5cm high by 10.5cm diameter at base.